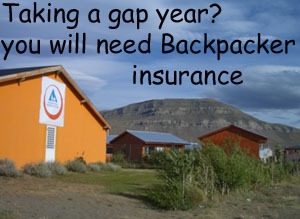 jml Property Insurance: Going on a gap year soon? Going on a gap year soon? Just got those all important A level results and you can now relax a little by taking a Gap Year? Perhaps you can take a sabbatical from work, whatever your reason you must make sure you are properly insured. Yesterday Essential Travel issued a press release "Essential Travel's Backpacker Campaign For Youngsters" - If you're getting ready to embark on a full on gap year, career break or just a few months of adventure, Essential Travel has started a Great Backpacker Giveaway! While the publication of A-level results traditionally sees teenagers and their parents thrown into a week of chaos and clearing, there are a growing number of parents who are actively encouraging their offspring to take up a different form of education and head off travelling. "The world is a big, wonderful place and I want my children to experience it." (parent of less than 18 year old female). 1. The A-Z Backpackers' Bible. The guide is a collection of tips on staying safe, as well as practical help for dealing with some of the stressful and even dangerous situations that can arise while travelling. It's packed with advice specifically written for young travellers, many of which may never have even lived away from home before, and includes backpackers' own descriptions of dangerous situations they found themselves in, as well as first person tips to make the reader's journey safe and memorable . The Travel Safety Guide can be downloaded free of charge. 2. 15% off Essential Travel Backpacker insurance. And with the choice of 3 cover levels and 4 areas of cover you only pay for the cover you need. You can also customise it to include dangerous sports, winter sports, pre-existing medical condition cover, and a number of other specialist add-ons. 3. There is a Facebook competition where entrants have the chance of winning a rucksack packed with travelling goodies worth over £800, including a beautiful travel journal from Oh So Cherised, travel toiletries from Ickle Bockles, 2 places for a first aid course by CRT Medical, an underwater camera case from Overboard and innovative insect patches from Dont Bite Me! Entrants will have to work out the Seven Wonders of the World, as voted for in a recent Essential Travel survey of backpackers' favourite travel destinations. With over 5 million satisfied customers since 2001, Essential Travel is one of the UK's leading online travel insurance providers, with its fully-comprehensive, competitively-priced travel insurance. Essential Travel also offers priority access to the most sought after car parks, hotels and lounges at all major airports across the UK. Essential Travel is now part of Thomas Cook UK & Ireland. 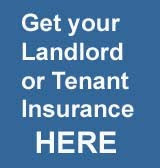 They also have car hire excess insurance from £1.94 a day.